Location: Rick Wemple Outfitting is situated in Stevensville, Montana offering big game hunts in Montana. About your host at Rick Wemple Outfitting: Rick Wemple, Owner. 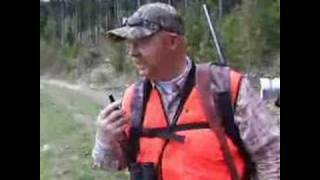 Hello, my name is Rick Wemple, I am a native of Western Montana and I have spent my life serving the hunting and vacationing public. I personally guide on every hunt and with over 40 years experience guiding hunters and wilderness pack trips into the mountains of Western Montana and the Selway Bitterroot Wilderness Area, I am well known for my ability to get hunters into the game they are seeking and providing a first class experience. I also operate one of the most experienced guide schools in the nation. My school believes in quality graduates that are then hired or placed on jobs from Alaska to New Mexico. "I always have guides that give more than 100% and are qualified for the job." Hunting experience at Rick Wemple Outfitting: Rick Wemple is internationally known as one of the Top Rated Outfitter operations in the West. I am a licensed Outfitter and Guide and "PROUD TO BE INDEPENDENT". My ability as a hunter, my honesty and efforts put forth for clients over the years, has gained me respect by outdoorsmen from all over the world, and has made me strive to be one of the best Professional Guides in the business. My knowledge of the area and my backcountry expertise assures hunters their best chance of success. If you are interested in a quality fair chase Big Game Hunt, in some beautiful unspoiled country, I can provide it. Most hunts include guides, transportation, game retrieval and trophy care. With over 1 million acres of true Gods country that is full of mountains, Trophy Big Game, trails, canyons and places no human has gone before, you will have the hunt of a lifetime! In Montana, MY guides will truly work hard for you. Click here for quick link country guide.